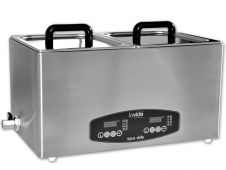 Magnificent results with Lavide sous vide appliances. Tender meat and crunchy vegetables, cooked to perfection. Sous vide sticks & cookers from Germany, meeting the most exacting of standards. No far-east imports like others, buy quality from Germany! 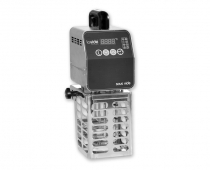 Sous-Vide Water Bath (8 Liters) | Best quality for best price! 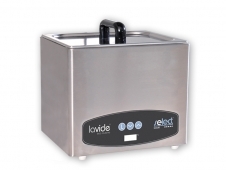 ... Sous-Vide or thermalization and vacuum cooking called - but why and what's behind? Currently you can actually speak without exaggeration of a hype in the professional kitchen and private sector. 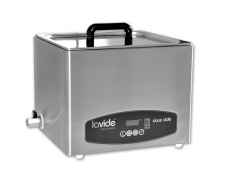 The magic word „Sous-Vide“, which translated from French means something like "under vacuum" represents a completely new type of food preparation. However this method has been developed at the beginning of the 70s. 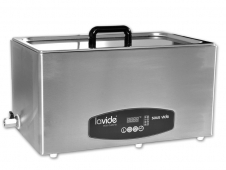 The whole thing sounds very simple: put the product in a vacuum bag, and then cook it in a LaVide bath at low temperature to the point. Sous-Vide from Lavide - a pleasure-special experience. The flavor of your products is intensified by the exact cooking in its own atmosphere, without quality and high weight loss. The consistency and color of the product will remain fully.